Welcome to Scott Studios,Inc. 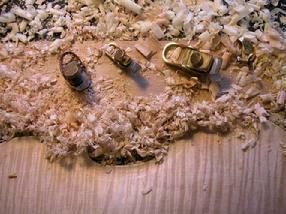 and the workshop of William Robert Scott, an award winning violin-maker. Mr. Scott strives to provide you with the finest instrument. As a maker with 40 years of experience, each instrument is crafted uniquely and has an individual appeal. Traditional methods combined with contemporary understanding of acoustics helps to produce instruments of great beauty and concert quality sound. Special care is taken to assess the musical needs and desires of the player before an instrument would be commissed. Occassionally there are instruments to play to choose from or get ideas to create one more suitable to your taste. Please take a few moments to browse our website to see a sampling of instruments for sale, current projects, and information on commisioning an instrument. You may also check out our web gallery to view photographs of various instruments. Susan H. Scott, co-owner and founder of Scott Studios, Inc. manages the music endeavors of our company. Susan will help you contract musical services for a variety of occassions including weddings and receptions. We feature the Evergreeen String Quartet among other ensembles and musicians. William Robert Scott began Scott Violins in 1985 and joined Scott Studios, Inc. in 2005, founded by his wife, Susan Scott. His interest in violin-making began in 1970 when he met Martin Bielke, a well-known bow-maker and repairman in the ‘60s and ‘70s. 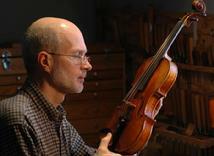 Bill Scott completed his first violin through book knowledge (You Can Make a Stradivarius by Joseph Reid) and worked at Dahl Violin Shop in Minneapolis from 1977–1983. Attending his first VSA (Violin Society of America) Competition in 1980 at Hofstra University, New York he met Mr. Hans Weisshaar and in 1984 began working at the shop of Hans Weisshaar, Inc. in Los Angeles. Bill quickly gained access to great instruments of the classic masters and this apprenticeship helped him develop an eye for the important nuances of quality seen in these works. Repairing and studying these fine instruments for the next couple years opened a new world of great beauty and craft which he has tried to capture since. Gaining membership in the American Federation of Violin and Bow Makers in 1988 provided regular opportunities to study and learn more about these great instruments. Sharing and gaining a wealth of insight from colleagues at the VSA Oberlin Workshops (Violin-making and Acoustics) over the past 18 years in no small way has profoundly impacted his work and understanding of this craft. In recent years, Bill Scott has contributed on a regular basis to Strad Magazine, VSA Conventions with presentations and Forum discussions and as a workmanship judge. The VSA Conventions and Competitions have been part of his violin-making experience from the beginning and he feels he owes a lot to what this organization has brought to our craft. It is with the sharing of ideas and techniques that today’s musician can realistically own a great concert instrument at an affordable price. Recent research is showing that when age and origin of an instrument are unknown, tonal quality and playability are not defined by old vs new but plain and simple-quality. In fact the newer instruments on whole are out performing the classics! See article below. 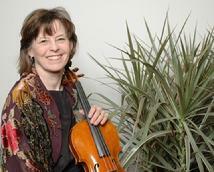 Susan Scott, violist, holds a Bachelor of Music from the University of Wisconsin, and Master of Music, Viola Performance, from Ohio University. She is a free-lance performer in the Twin Cities, performing at various venues throughout the area. Susan has performed with many orchestras including the Charleston Symphony, Springfield Symphony, Duluth-Superior Symphony, Traverse City Symphony, Interlochen Chamber Orchestra and as principal violist of the Civic Orchestra of Minneapolis. From 1982-2012, Susan was an Orchestra Instructor for grades 4-12 in the Roseville Area Schools and Co-Coordinator of Elementary Instrumental Music for 11 years. She is President of Scott Studios, Inc.
©2019 Scott Studios, Inc. All rights reserved.